Take a look at SynapseIndia jobs opportunities for Business development professionals at managerial level. Well established IT company is looking for business development manager to join their team at Noida office. The SynapseIndia is all about innovative web & mobile development. We remind the world that great ideas. Known world over, SynapseIndia is premier IT services provider company, having its clients located in more than 30+ countries. This is an excellent opportunity arisen with our Noida team. 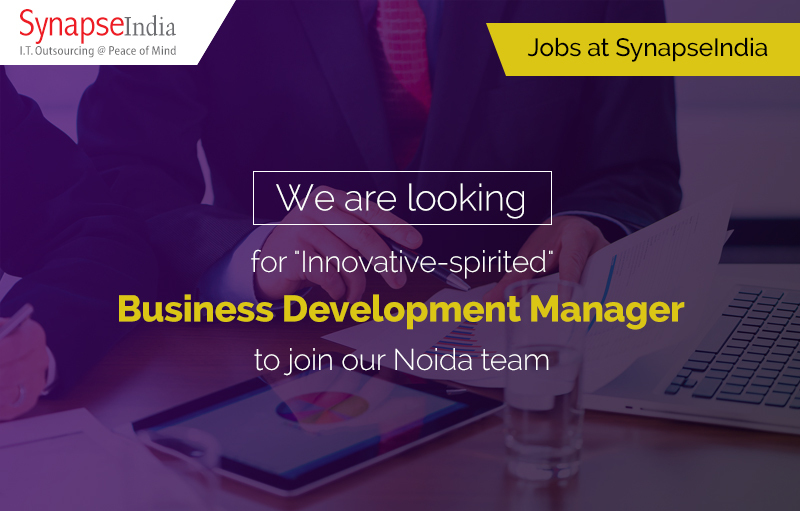 As a business development manager , you will bring energy and focus to expanding SynapseIndia's business and strengthen our relationships with existing client-base. Interested to join us? Apply for SynapseIndia jobs.